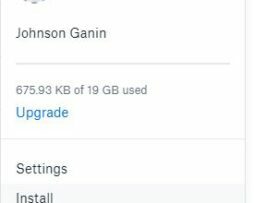 18GB Usage is relatively sufficient for normal demand! 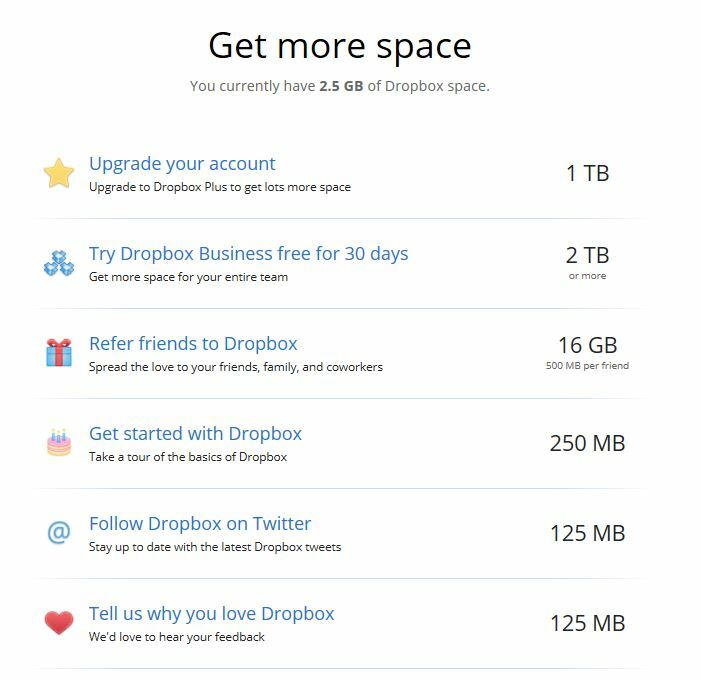 But if you have more storage needs than Dropbox is available. Combine 2 Dropbox Accounts Make One to Double the Storage Capacity !!! 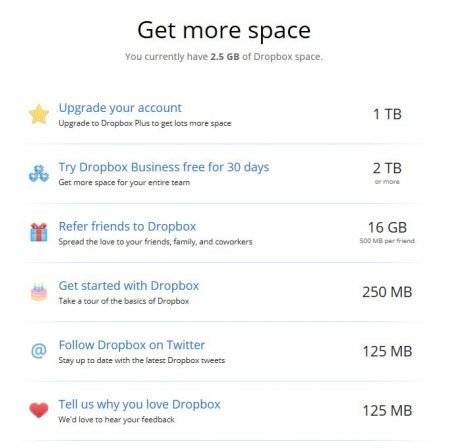 * Doubling the amount of space here does not mean that Dropbox will merge 2 files into one, but you will have two separate folders, each with 18GB of storage, a directory for storing photos, music files, and data. 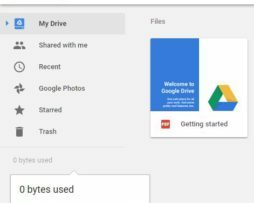 Personal / 1 folder for file storage for work such as … Share function, send and receive link of each directory is still completely independent – Overall quite convenient !!! Interface after merging two Dropbox accounts on the Dropbox application on Windows, 2 separate directories appear, each corresponding to a separate account active !!! 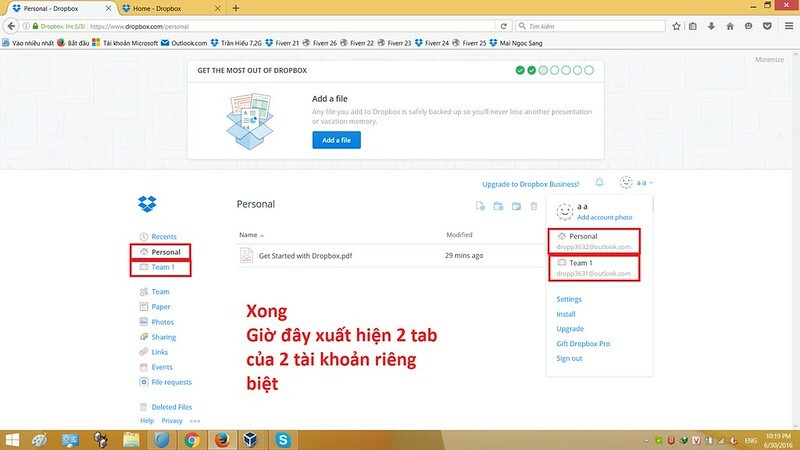 – On a web-based interface or desktop synchronization application will split 2 distinct Foder, each Foder corresponding to one account. 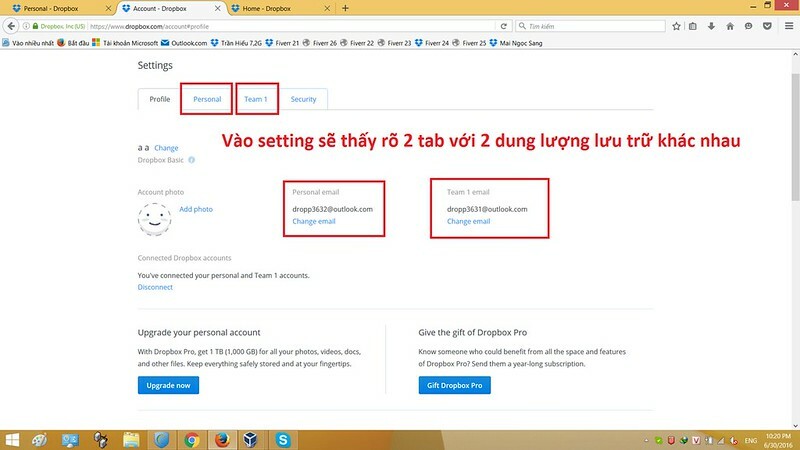 – Share, send, receive … files of each account is still active independently !!! 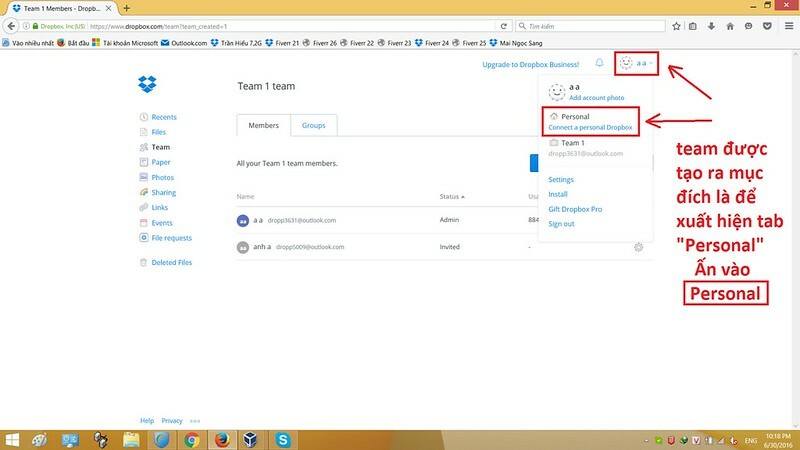 On the web interface at the left column click on the “Team” icon. The team creation window shows you fill in the Team Name (name as you want). 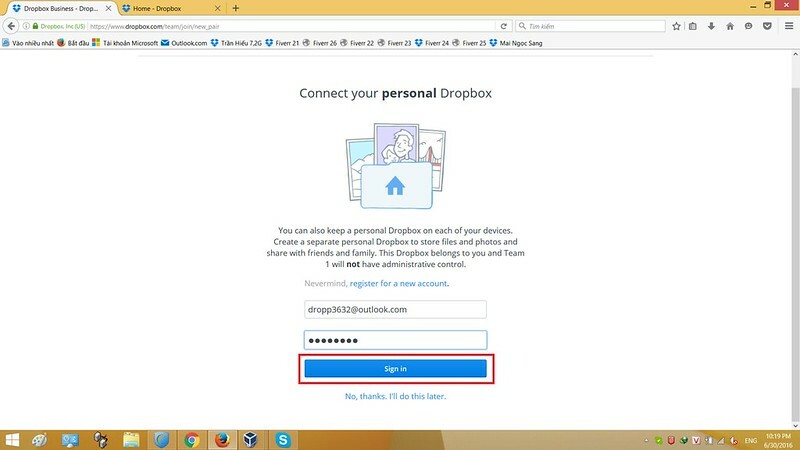 This name will become the folder name for your Dropbox account number 2. 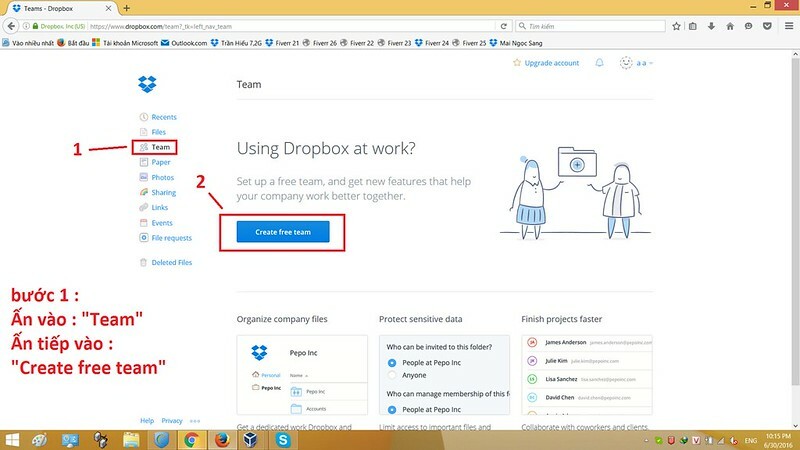 Dropbox Team was created !!! Click the “Personal” icon (as shown). 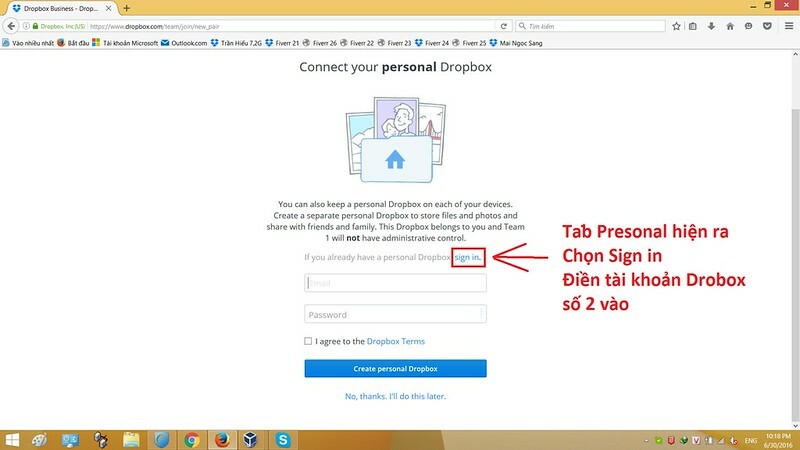 Step 5: The Presonal tab pops up, select Sign in, enter your Dropbox account number 2 and password and click Print (as shown below). 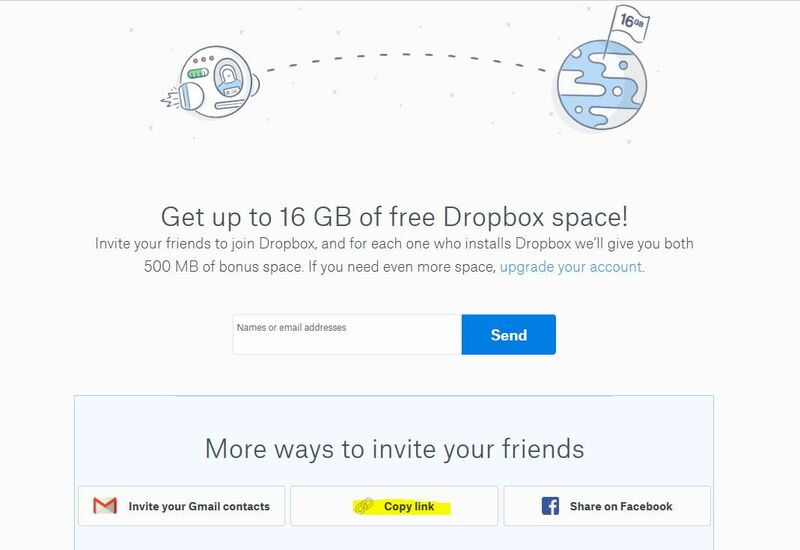 So I have finished the way to combine two Dropbox accounts as one to double the storage capacity !! !